Adrian Constantine Anson (April 17, 1852 – April 14, 1922), nicknamed "Cap" (for "Captain") and "Pop", was a Major League Baseball (MLB) first baseman. Including his time in the National Association (NA), he played a record 27 consecutive seasons. Anson was regarded as one of the greatest players of his era and one of the first superstars of the game. Anson spent most of his career with the Chicago Cubs franchise (then known as the "White Stockings" and later the "Colts"), serving as the club's manager, first baseman and, later in his tenure, minority owner. He led the team to five National League pennants in the 1880s. Anson was one of baseball's first great hitters, and the first to tally over 3,000 career hits. His contemporary influence and prestige are regarded by historians as playing a major role in establishing the racial segregation in professional baseball that persisted until the late 1940s. A 2006 biography of Anson that exhaustively examined 19th-century newspaper reporting related to him on the subject of racism reached the following conclusion: "As far as the nineteenth century, he rightfully should endure as the big leaguer who, until the late 1940s, was involved in the greatest number of reported negative incidents, on the field, relating to blacks." On several occasions, Anson refused to take the field when the opposing roster included black players. (see also Baseball color line) "But at the same time, his argumentative nature could be readily discounted by those around him. So, the notion that he had 'coattails' in persuading players and officials on other teams to do as he did is rather spurious." Anson played on a number of competitive baseball clubs in his youth and began to play professionally in the National Association (NA) at the age of 19, playing primarily 3rd Base for the Rockford Forest Citys, one of the original teams of the Association. After being traded to Philadelphia Athletics, in 1872 and 1873, he finished in the NA's top five in batting, on-base percentage (OBP), and on-base plus slugging (OPS). He led the NA in OBP in 1872. His numbers declined slightly in 1874 and 1875, but he was still good enough that Chicago White Stockings secretary-turned-president William Hulbert sought him to improve his club for the 1876 season. Hulbert broke league rules by negotiating with Anson and several other stars while the 1875 season was still in progress and ultimately founded the new National League to forestall any disciplinary action. Anson, who had become engaged to a Philadelphia native in the meantime, had second thoughts about going west, but Hulbert held Anson to his contract and he eventually warmed to the Windy City. The White Stockings won the first league title, but fell off the pace the following two seasons. During this time, Anson was a solid hitter, but not quite a superstar. Both his fortunes and those of his team would change after Anson was named captain-manager of the club in 1879. His new role led to the nickname "Cap", though newspapers typically called him by the more formal "Captain Anson" or "Capt. Anson". 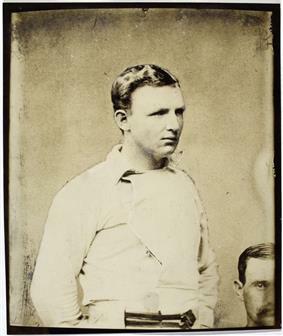 With Anson pacing the way, the White Stockings won five pennants between 1880 and 1886. They were helped to the titles using new managerial tactics, including the use of a third-base coach, having one fielder back up another, signaling batters, and the rotation of two star pitchers. In the first half of the 1880s, aided by speedy players like Mike Kelly, Anson had his players aggressively run the bases, forcing the opposition into making errors. After the expression first became popular in the 1890s, he retroactively claimed to use some of the first "hit and run" plays. Anson shares credit as an innovator of modern spring training along with the president of the Chicago club, Albert Spalding. They were among the first to send their clubs to warmer climates in the South to prepare for the season. On the field, Anson was the team's best hitter and run producer. In the 1880s, he won two batting titles (1881, 1888) and finished second four times (1880, 1882, 1886—1887). During the same period, he led the league in runs batted in (RBIs) seven times (1880–82, 1884–86, 1888). His best season was in 1881, when he led the league in batting (.399), OBP (.442), OPS (.952), hits (137), total bases (175), and RBIs (82). He also became the first player to hit three consecutive home runs, five homers in two games, and four doubles in a game, as well as being the first to perform two unassisted double plays in a game. He is one of only a few players to score six runs in a game, a feat he accomplished on August 24, 1886. Anson signed a ten-year contract in 1888 to manage the White Stockings (which, because of a typographical error he failed to spot, ended after the 1897 season instead of 1898), but his best years were behind him. He led the league in walks in 1890 and garnered his eighth and final RBI crown in 1891, but declined precipitously thereafter, for example batting .388 with 100 RBI in 1894. On the managerial front, he failed to win another pennant. 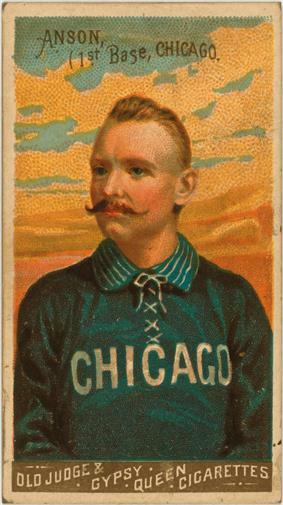 Cap Anson baseball card (N162), 1888. Anson refused to play in exhibition games versus dark-skinned players. On August 10, 1883 he refused to play an exhibition game against the Toledo Blue Stockings because their catcher, Moses Fleetwood Walker, was African American. When Blue Stockings Manager Charlie Morton told Anson the White Stockings would forfeit the gate receipts if they refused to play, Anson backed down. In 1884, Chicago again played an exhibition game at Toledo, which was now in the American Association, a major league. Walker sat it out, and unclear is whether he did so to placate Chicago or because he was injured; Jimmy McGuire instead did the catching. Both had sore hands, the Toledo Blade had said a few days earlier. Of the two catchers, Walker was seemingly the more injured, as he did not play in Toledo’s second-most recent game. Among Anson’s incidents, this one is unique in that private correspondence provides insight. 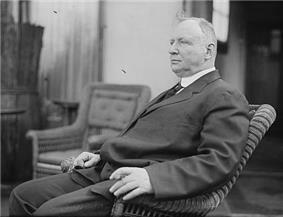 Three months before the game, Chicago Treasurer-Secretary John A. Brown wrote Toledo manager Charlie Morton that “the management of the Chicago Ball Club have no personal feeling about the matter,’’ while “the players do most decisively object and to preserve harmony in the club it is necessary that I have your assurance in writing that [Walker] will not play any position in your nine July 25th. I have no doubt such is your meaning[;] only your letter does not express in full [sic]. I have no desire to replay the occurrence of last season and must have your guarantee to that effort.’’ Walker and his brother Newark News as the scheduled Newark starting pitcher. Anson objected, and Stovey did not pitch. Moreover, International League owners had voted 6-to-4 at a 10 a.m. to 1 p.m. meeting in Buffalo on the morning of the game to exclude African-American players from future contracts. The other controversy over Anson's total hits had to do with his five years in the National Association. Neither the Macmillan Encyclopedia editions nor MLB itself at that time recognized the NA as being a true major league. MLB.com does not count Anson's time in the NA in his statistics, but tallies his National League total as 3,011 hits. This places Anson 25th on the all-time list. Other sources credit Anson with a different number of hits, largely because scoring and record keeping was haphazard in baseball until well into the 20th century. Beginning with the publication of the Baseball Encyclopedia, statisticians have continually found errors and have adjusted career totals accordingly. According to the Sporting News baseball record book, which does not take NA statistics into account, Anson had 3,012 hits over his career. The National Baseball Hall of Fame, which uses statistics verified by the Elias Sports Bureau, credits Anson with 3,081 hits. This figure disregards games played in the NA, but includes the walks earned during 1887 as hits. Anson briefly made a return to baseball managing the American Association, called the New American Base Ball Association, and was named its president. However, at the first sign of trouble he dissolved the league before a single game was played, drawing heated criticism from other backers. Anson’s 1900 book A Ball Player's Career: Being the Personal Reminiscences of Adrian C. Anson, was ghostwritten by Chicago horse racing writer and poet Richard Cary Jr., who had the pen name of Hyder Ali. Right after it was published, Cary told the St. Louis Post-Dispatch, "I really thought when I started that the ‘Cap’ [sic] would be able to reel off the story of his life about as fast as a nimble man would care to write it. It took me just two days to find that was not the case. A day and a half to get the ‘Cap’ to sit down and the other half day in egging him on. The story had to be literally dragged out of him. The incidents of his baseball career were apparently fresh in his mind, but when it came to actual dates he was all at sea. When he did give a date nine times out of ten it was wrong and had to be corrected later on." The New York Times said whether Anson "wrote every word in this volume of reminiscences or not[,] the book reads characteristically. The expression is Ansonian." ^ a b c d e f g h i j k l Pietrusza, David; Matthew Silverman; Gershman, Michael (2000). Baseball: The Biographical Encyclopedia. New York: Total Sports. pp. 29–31. ^ Rosenberg, Howard W. (2006). Cap Anson 4: Bigger Than Babe Ruth: Captain Anson of Chicago. Tile Books. p. 560. , p. 443. ^ "William Hulbert". BaseballLibrary.com. Retrieved 2008-01-22. ^ a b c d e f g h i j k l m n o p q r s t u v w x y z aa ab ac ad ae af ag Fleitz, David L. (2005). 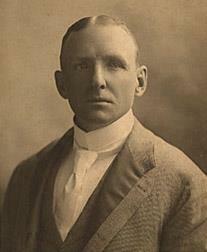 Cap Anson: The Grand Old Man of Baseball. Jefferson, N.C: McFarland & Company. p. 346. ^ a b c d e f g h i j k l m n o p q r Golenbock, Peter (1997). Wrigleyville: A Magical History Tour of the Chicago Cubs. New York: St. Martin's Griffin. pp. 20–90. ^ Gold, Eddie; Art Ahrens (1985). The Golden Era Cubs: 1876–1940. Bonus Books. p. 2. ^ Rosenberg. Cap Anson 2: The Theatrical and Kingly Mike Kelly: U.S. Team Sport's First Media Sensation and Baseball's Original Casey at the Bat. Arlington, VA: Tile Books, 2004. ISBN 0-9725574-0-7. , pp. 321-352. ^ a b Merkin, Scott (July 27, 2007). "Complex Anson a legend of baseball". ^ "2007 Complete Baseball Record Book — Career Milestones" (PDF). ^ "Cap Anson's Hitting Stats". ^ a b c d Mark Lamster (2006). Spalding's World Tour: The Epic Adventure that Took Baseball Around the Globe — And Made It America's Game. New York: PublicAffairs. ^ Laurie, Joe, Jr. (1953). Vaudeville: From the Honky-tonks to the Palace. New York: Henry Holt. ^ Pop' Anson, Famed in Baseball, Dead. Grand Old Man' of the Diamond Succumbs Two Days Before Seventieth Birthday. Anson Filled First Professional Engagement in 1873 and Played Until Retirement in 1897"'". ^ "Adrian Constantine "Cap" Anson". FindAGrave.com. Retrieved 2008-01-22. In 1872, the 20-year-old Anson met 13-year-old Virginia Fiegal, the daughter of a Philadelphia bar and restaurant owner, whom he married on November 21, 1876. The marriage lasted until her death in 1915. For the first seven years of their marriage the couple lived in Chicago during the baseball season and Philadelphia during the off-season, but eventually moved to Chicago on a year-round basis. Anson was inducted into the Baseball Hall of Fame in 1939, one of the first 19th century players selected. Over 100 years after his retirement, he still holds several Cubs franchise records, including most career RBI, runs, hits, singles, and doubles. Defensively, he also holds the franchise record for putouts, but also is second in franchise history for errors. He died on April 14, 1922 in Chicago, Illinois from a glandular ailment. He was interred at the Oak Woods Cemetery in Chicago.